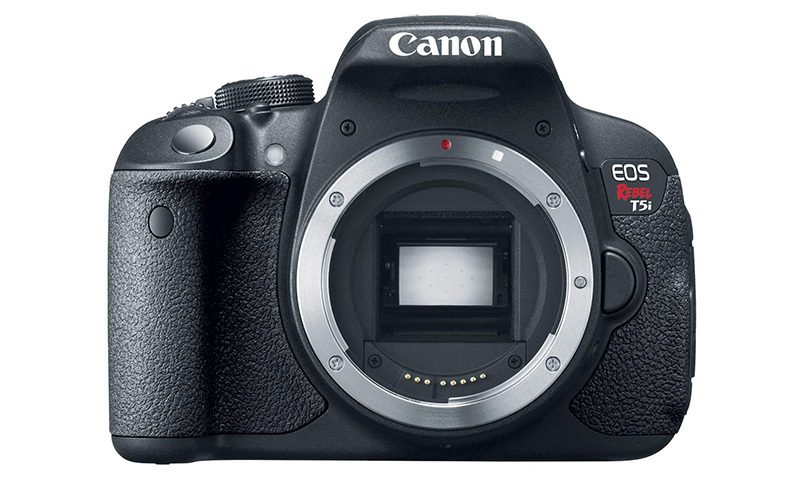 The Canon Rebel T5i (or 700D) came to market as an update from the older Canon Rebel T4i (650D). These DSLRs, though entry level cameras, offer a wide range of capabilities to help improve your photography skills. As this review shows, the Canon T5i stands as the perfect transition from compact cameras to DSLRs. 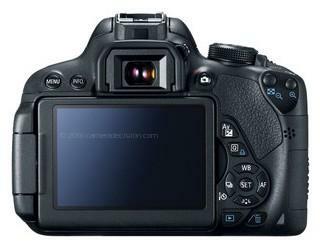 The body of the T5i is based on the design of the Canon T4i with only a few minimal changes. The body is made of plastic but still feels pretty solid. The top of the camera offers its main controls. These include the ISO control, an additional position for movie recording, the on/off button as well as the normal camera settings allowing to switch the camera user to manual. The camera is top heavy with regard to buttons and control switches. However, the design of the camera offers for quick operation and changes, which is crucial when trying to capture something sudden or something in motion. 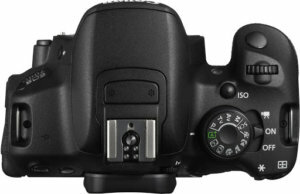 The ISO button, located near the shutter button, is easily accessible by the index finger and allows for quick changes. The wheels controlling shutter speed and aperture are also easily accessible by the index finger and the thumb of the user. The camera’s design is perfect for quick adjustment and overall control. This means that once a user gets used to the placement of the different control buttons, shooting pace should get much faster. The back of the T5i follows the usual Canon design. As shown, most of the buttons are clustered together on the right-hand side of the camera body. The button beside the viewfinder serves two purposes. When shooting stills, it allows for the user to switch between the viewfinder and the live view mode. When the camera is switched to video mode, that same button initiates and ends video recording. The top left corner of the camera provides the menu and the info button which allow the user to cycle between different settings and screen information views. The Canon Rebel T5i, just like the T4i and the 60D has a swivel and tilt screen which offers a wide variety of movement. Canon, in that respect, has created the best live view mode and options a camera can get. And, in fact, the lack of such a screen on the more high-end cameras, such as the Canon 1Dx mkii, has been highly criticized by the Canon users. The well-designed and integrated touchscreen interface makes this camera the best transition between a compact camera to a full DSLR. Every aspect of the camera can be controlled via the touchscreen which makes it easier for beginner photographers to become more familiar with the different settings of the camera (ISO, Shutter Speed, Depth of Field, etc.). The screen itself is of a capacitive type. This means that, like a smartphone, the screen is contact rather than pressure sensitive. Canon has, essentially, made almost everything controllable by touch. Through the live view, the user can control the focus point, ISO, shutter speed, aperture, and zoom, among other settings. It is worth noting that Canon has made this feature optional. If you’re uncomfortable with the touch screen, that feature is easily disabled through the settings menu of the camera. Just like its predecessor, the Canon T5i offers very good image quality. The images produced by the camera are reasonably sharp. The automatic display of the images, in JPEG format, are of perfectly reasonable standards. Just like with any camera, such standards are increased when switching the photo format to RAW. The RAW quality of the photos produced by this camera are of very high quality and allow for more post-production editing. Canon hasn’t failed, with this camera, to ensure its standards in regards to color rendition and saturation. Canon remains one of the best when it comes to color rendition and skin tones. This is proved with the T5i which, just like its predecessors, provides nice skin tones and colors within its images. Canon is known for its AF system and its accuracy. The T5i does not fall off this long-standing tradition. The traditional phase-detection autofocus of the T5i is impressively fast and accurate. Whether you are shooting a still portrait or movement such as dance and sport, the accuracy of the T5i’s autofocus will not fail you. Even in low light conditions, the camera successfully locks focus on the subject. Canon’s phase detection is good at tracking subjects moving at a continuous rate, which means that photographing movement with the Rebel T5i is not an issue at all. The T5i is an EF mount. Being a long-established camera manufacturer, Canon has a huge variety of lenses available. Within the EF series, the choice between zoom and prime lenses, wide and close up angles, different aperture is close to unlimited. This means that starting with the Canon Rebel T5i, your photography can improve drastically because of the different lenses you can experiment with. This isn’t the case for Sony users, for instance, who currently have to buy adapters to be able to access a wide variety of lenses. The T5i is equipped with the same LP-E8 lithium-ion battery found in the T3i and the T4i. According to Canon, this equals 440 shots and one hour and 40 minutes of movie shooting time. While 440 shots do not seem like much, even for an entry-level camera, it can get through a full day of shooting depending on the conditions. However, in these cases, a spare battery or a battery grip can solve this issue quite easily. The Canon Rebel T5i has proven to be a very capable entry-level camera. Entry level cameras are in constant competition with mirrorless cameras which offer equivalent image quality in smaller packages. While the T5i is a good camera, it is missing a few features that would make it the perfect camera for entry-level photographers. The lack of wifi has personally put me off buying this camera. The introduction of wifi and mobile apps that control DSLR settings have opened the door to new possibilities for photographers and since the introduction of wifi in the T6i, the T5i loses its appeal. Another feature that made me reluctant to buy this camera was the noise on the images. In low light, the quality of the images is severely impacted, so much that some of them are unusable. Overall, the T5i is a good camera which offers a wide variety of shoots for a reasonable price. However, with the introduction of the T6i, it is unlikely that one may choose the T5i over the newer version.